Dusty – The Original Pop Diva tells the story of Mary O'Brien who the world knew as Dusty Springfield. In the 1960s Dusty Springfield takes the entertainment world by storm with a score of hits, a top TV show and a legion of fans. She was the most influential British female artist of the 60's. Known as the White Lady of Soul, she was responsible for bringing the Motown sound to the UK. But the success she wanted is hollow and real happiness eludes her. 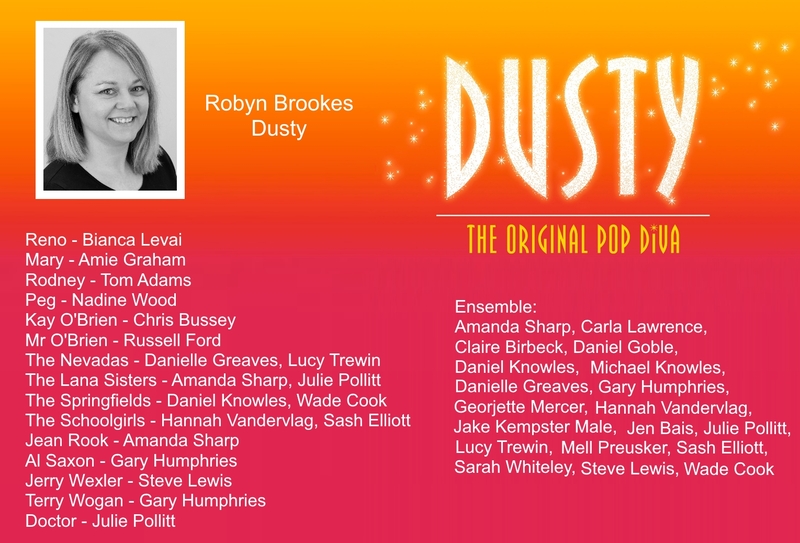 The original production of Dusty was nominated for seven Helpmann Awards and won four. 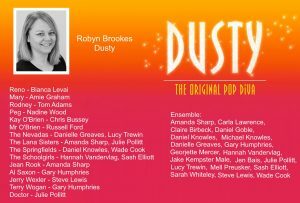 We have now completed our auditions and our full cast list is available just below. 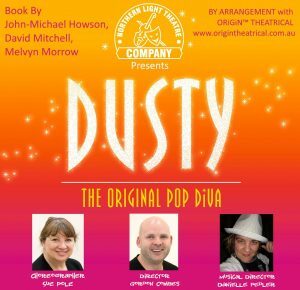 While you're here, don't forget to grab some tickets today as this show is sure to be a hit with audiences!